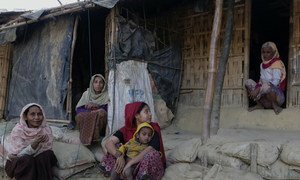 27 February 2019 – With around half a million in effect, stateless Rohingya refugee children living in Bangladesh’s Cox’s Bazar camp, the United Nations Children’s Fund (UNICEF) chief stressed that the international community must address their “untenable situation” and “invest in this generation”. © UNHCR/Santiago Escobar-Jaramillo | Bangladesh. Rohingya refugees who fled Myanmar to safety in Cox’s Bazar. “With the right investment, the Rohingya can be an asset to their community and to the world”, concluded the UNICEF chief. (SOURCE: UN News).